$50,000 Grant Will Help Yoga N Da Hood Expand to More Dallas Schools – Yahabari..Afro American Aggregated News Wire ! This isn’t a story about goat yoga or dog yoga or even beer yoga. This is a story about plain old yoga. But what makes this class different — and less gimmicky — is that it’s being taught in a Dallas Independent School District after-school program. 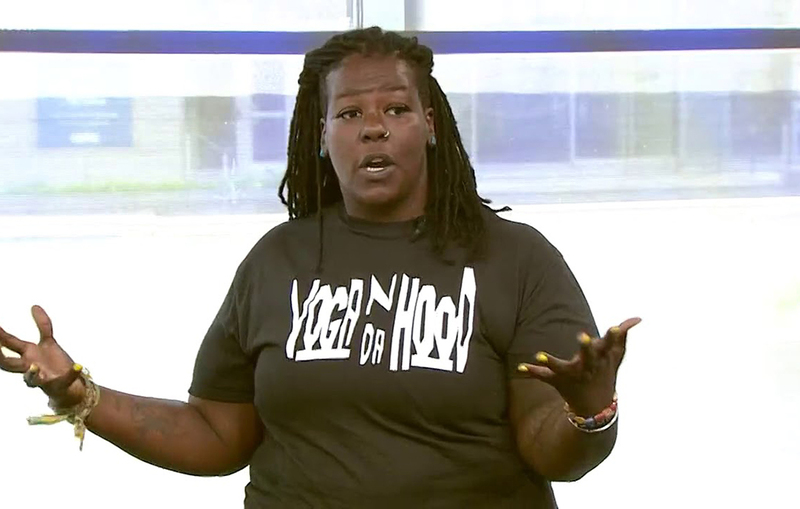 When Ebony Smith started doing yoga, there were no studios in her neighborhood, so she started Yoga N Da Hood. The program eventually made its way into 27 schools, including B.H. 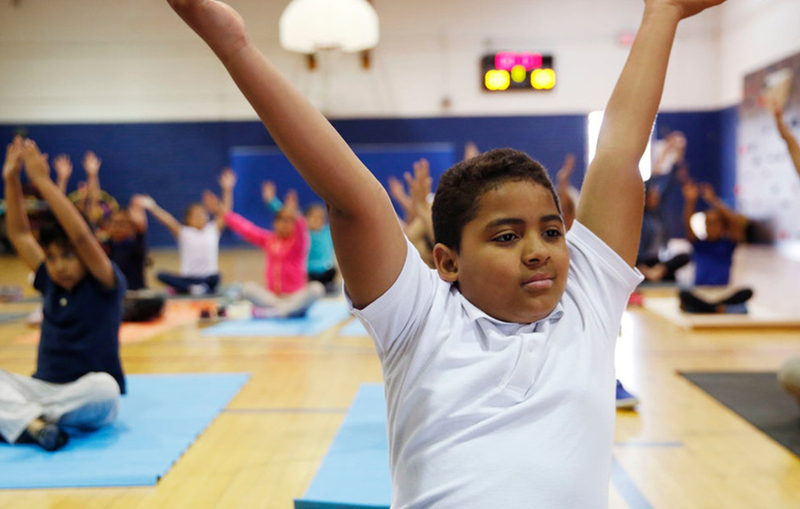 Macon Elementary, where nearly 30 students walked into the gym recently, rolled out yoga mats and did some simple poses. While Smith was telling the students to breathe in and out, music therapist Xavier Mitchell gently played West African drums. Smith also teaches coping skills to deal with life’s ups and downs. “They talk about how relaxed they are, how de-stressed they are, or they didn’t know it was going to feel good, or how hard it might have been,” Smith said. Now, thanks to a $50,000 grant from the Dallas Foundation, Smith is looking forward to training 300 more teachers to help expand the program from 310 to nearly 3,000 students. The philanthropic foundation chose Smith’s program as the 2019 recipient of its Pegasus Prize, recognizing nonprofits that address community needs in innovative ways.